Excel Activity Group offers an extensive range of fun and exciting and intriguing team activities Nationwide. 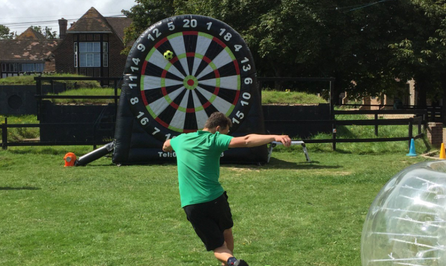 Choose from our exciting range of activities that include; Bubble Football, School Sports Day, Nerf Parties, DodgeBall, Olympic Shames, Bubble MayHen, FootGolf, Shock Football, Football Darts, Archery Tag, Goggle Football and Haunted Nights. We Specialise in Team Building Activities, Stag & Hen do's, Kid's & Adult Birthday Parties and Special Occasionevents.